Jennifer Lopez had her hands full in between takes on the set of her new movie ‘The Boy Next Door’ on Sunday. The actress’ twins Max and Emme swung by the set for a visit and immediately fastened to their mom. A great multi-tasker, Jennifer took turns carrying each child, while trying to keep the other happy. 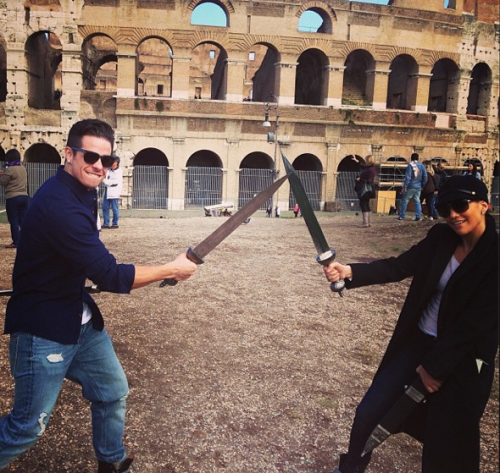 The visit comes just a couple days after Jennifer was photographed touring Italy with her boyfriend Casper Smart. Always on the go, she must be getting it all in before she returns for the 13th season of American Idol in the new year!